Someone asked me what my favorite moment of DragonCon 2018 was yesterday. Lucky me, I got it on video thanks to Tim. I swear, The best stuff goes on behind the black curtain. 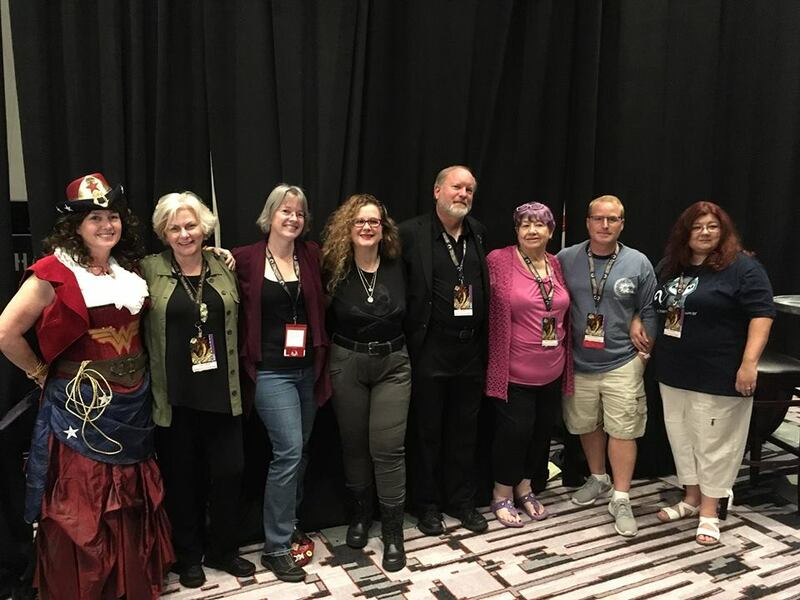 We got together for a quick picture before the Best Selling Authors Tell All panel, and it sort of degraded into a happy mess. The next day was my personal panel, and as was my wont, I sat on the table so I could see you better. 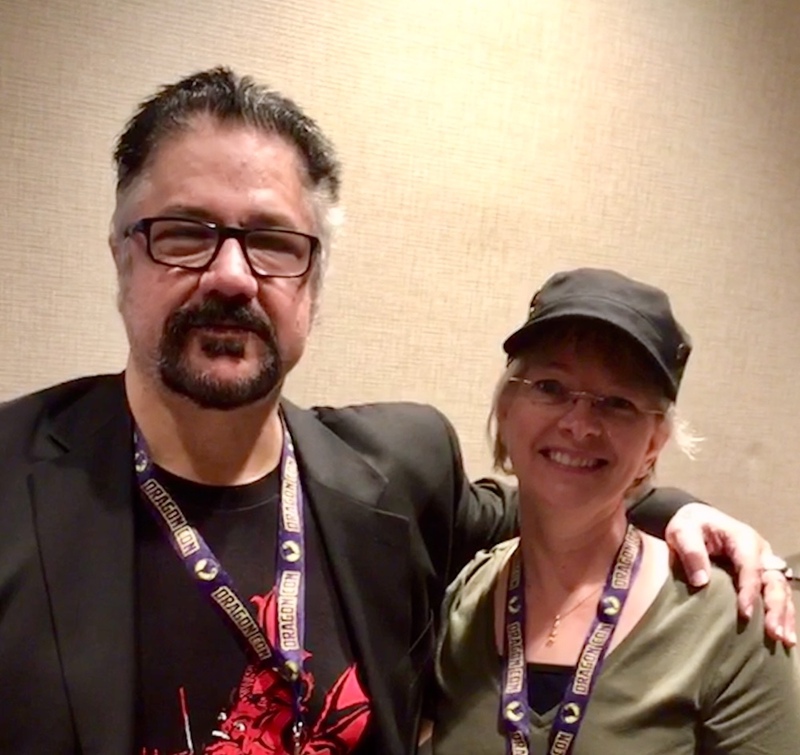 With me is Carol, who runs the urban fantasy track. (Yay, Carol!) Everyone who came got a copy of THE OPERATOR to take home with them, and the Q&A was great, but my favorite part had to be getting the chance to read the first three pages of rough draft of AMERICAN DEMON, the next Rachel Morgan book I’m working on now–which you all apparently liked. (smile) I also got a fair idea of how an Al POV book set during the elf/demon war in the ever-after would go over. There was a signing at the AmericasMart building at The Missing Volume, and if you’re in the area, I left signed books with them. 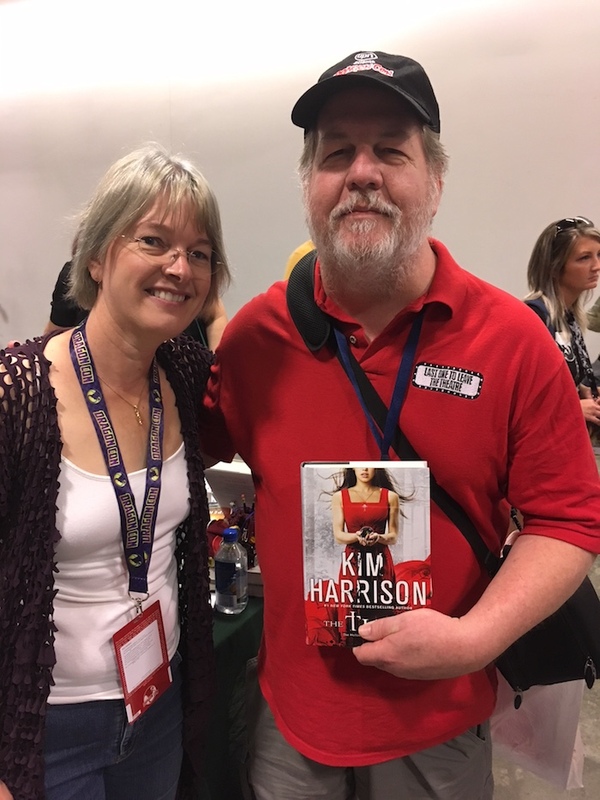 While there, I ran into one of my long-time readers who I believe has gotten a book signed from me every year I go out all the way back to about 2005, if I’m thinking right. 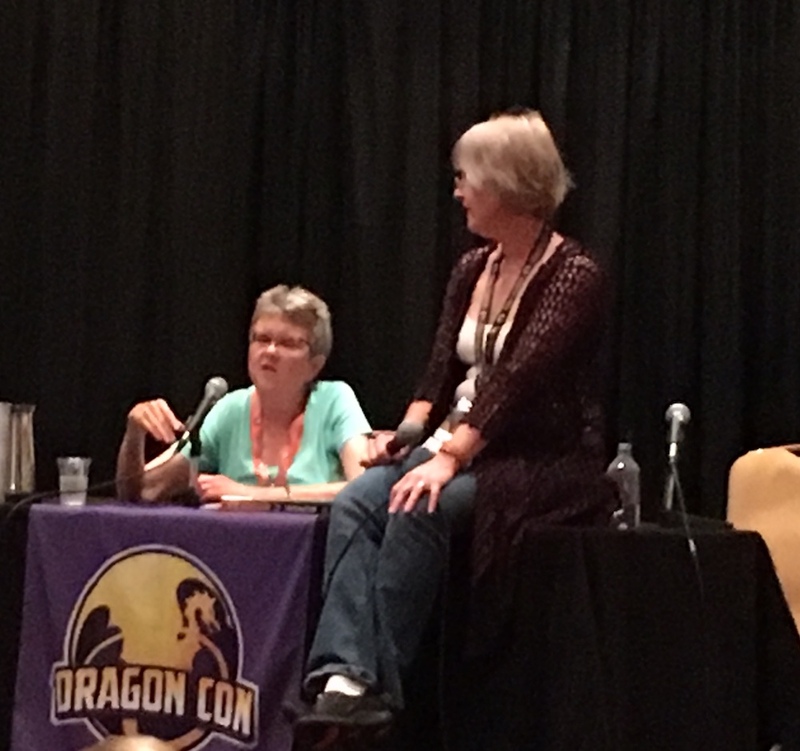 My last panel was on Today, and I got the chance to sit on a panel with Richard Kadery. It was really nice to see him again, if only for a few minutes, and I wish I had had more than one panel with him. Happy meet! And then it was time to head home and back to the final days of summer, because I don’t care what the calendar says, it’s still warm, and my garden is still green, and I need to be in my office, putting words on paper.